I’m in love with this purse that I made last week. 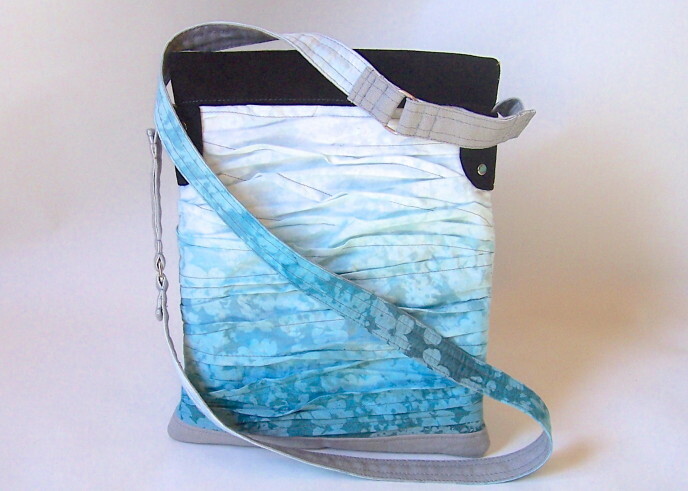 The gradient fabric is perfect for the crushed texture I manipulated into it. Creating the texture was fun and easy, I just cut the pattern piece extra long and stitched angled, horizontal pleats until it was the correct length. 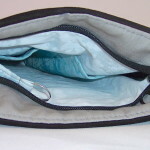 I did black suede details around the zipper pocket and at the top edge. I love using leather because it’s a fun challenge and it looks really nice. 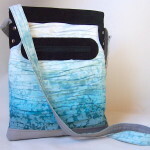 My favorite part of the whole purse is the back of the shoulder strap, I used the entire length of the gradient twice, so it has a beautiful slow transition. I wish I could have kept it but I made it for my Aunt, its ok though because she loves it too! shape and it was boring so I had to take the it ALL apart. I added more interfacing, some just for looks top stitching, and put it back together. I’m happy with how it turned out, but I’m glad to be done. I don’t enjoy making laptop bags as much as purses because it has to fit something specific, with purses there are no rules. Which is why I’m really looking forward to my main project this week, it’s a little, circle shaped bag. I’ve been dreaming about since the summer. I already did some practicing with my pattern so I’m ready to just go for it!! I’ll be using fabrics I have oodles of so if things don’t go as planned it wont be the end of the world , but maybe close to it…jk. The amazing rainbow fabric is going to be the front and back of the bag, the charcoal is for the side and strap. I’m also going to do some little leather details in black suede. I have theses little bitty pieces of amazingly colorful leather that would be so fun for this bag but the little voice in my head is telling me I should just hold off on the irreplaceable materials. What I will be using just in case I mess up! Irreplaceable leather bits I’m dieing to use! I’m so in love with this rainbow fabric I tried it out for my background. Not sure if I like it though. Oh well. Honestly, all this computer stuff is just really frustrating for me, I just want to sew. Hopefully this will all be easier soon. This week I’m excited about Valentine’s Day (a fun excuse to cover everything in hearts!) and I’m going to make some bigger laptop bags. 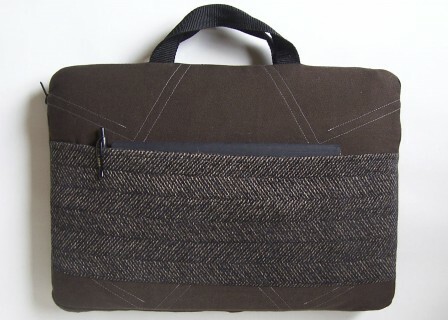 I have to draft the laptop bag pattern first, and I most likely won’t want to practice it. It’s the same thing as my other laptop bags, only bigger, so I’m hoping I don’t regret this decision. 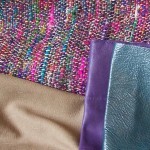 I already have my fabrics picked out for the first one. It’s for my boyfriend, who has been nagging me for weeks. 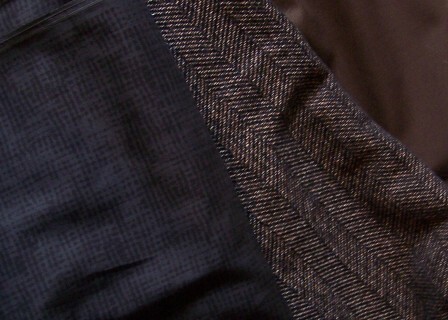 Now, I know that there are a lot of people who insist that black and brown don’t match, but I strongly believe they do. I picked out his fabrics for the most part and he gave the ok. 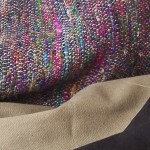 I love this upholstery sample (middle fabric), it has little flecks of grey in it. I really hope this project goes as planned, I’ll be bummed if I have to find something else to do with smaller pieces of this upholstery sample.